THIS ITEM IS NOT AVAILABLE AT PRESENT. WE WILL NOT BE GETTING ANYMORE The New Batman Adventures Mr. Freeze Action Figure. From the Batman collection by DC Collectibles. The New Batman Adventures Mr. Freeze Action Figure. 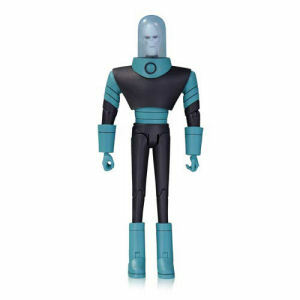 These action figures feature multiple points of articulation and are based on the designs of Bruce Timm.